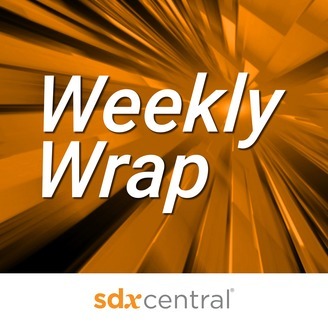 The SDxCentral Weekly Wrap podcast provides you with a way to easily and quickly catch-up on the top next-generation IT infrastructure developments from the week. 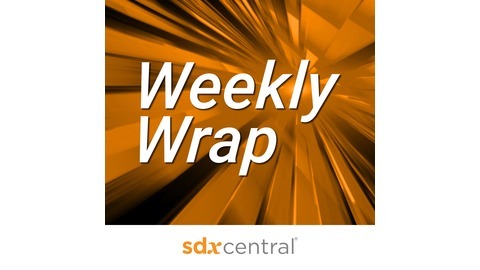 In this three to five minute podcast, we cover the week’s major news stories around topics such as SD-WAN, 5G, the Internet of Things, AI, Network Security, Containers, Software Defined Networking, Network Function Virtualization, Data Centers, Storage, and Network and Application Performance Management. Subscribe today to never miss an episode and visit an episode’s webpage for more details on the week’s stories.